The Great Natchez Tornado hit Natchez, Mississippi on May 7, 1840. It is the second deadliest single tornado in United States history, killing 317 people (the only tornado in the United States to have killed more people was the Tri-State Tornado). It is also one of the few tornadoes to have killed more people than it injured: only 109 were injured. The tornado formed southwest of Natchez and moved northeast along the Mississippi River. 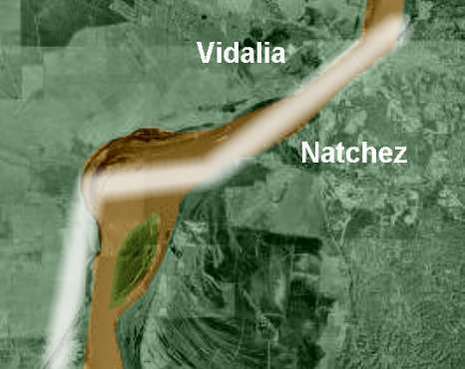 It then moved into the town of Natchez and destroyed many buildings. The final death toll was 48 on land and 269 on the river, mostly from the sinking of flatboats. The death toll is slightly disputed because of the land death toll of 48. It is believed that people died on plantations, and since this was pre-Civil War Mississippi, slave deaths weren't usually counted. 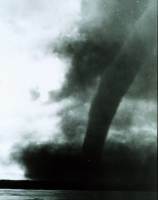 The Fujita scale rating of this tornado is almost certainly an F5 but since there was no Fujita scale at the time, this tornado remains uncategorized. May 7th dawned at Natchez thick with clouds and very warm. From weather accounts in areas surrounding Natchez, a strong frontal system was passing over the lower Mississippi valley. At New Orleans, the barometric pressure would bottom out in the early evening. Winds at New Orleans in the afternoon were from the southeast at 45 mph (72 km/h). Dr Martin Phillips at Edwards, Mississippi (70 miles [112 km] east of Natchez) and Bennet A. Barrow of Florida Parish, Louisiana both noted vigorous winds and heavy rains with the passage of a cold front on the 7th and clear, unseasonably cold conditions with northerly winds by May 9. Shortly before 1 p.m., a mile-wide tornado -- raging with timber, water and debris of every nature -- slammed into Natchez and Vidalia. As the river churned with massive waves and whitecaps, flatboats and men were tossed into the air like sardines. Crews on boats and passengers were swallowed into the river, others were dropped onto land. 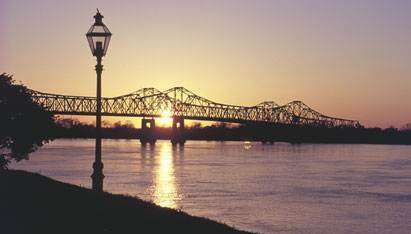 The central and northern portions of Natchez were slammed by the funnel as, according to one account, "the air was black with whirling eddies of walls, roofs, chimneys and huge timbers from distant ruins...all shot through the air as if thrown from a mighty catapult." Forming southwest of Natchez, the tornado moved north along the Mississippi River. When it struck Natchez, it destroyed dozens of buildings, killing at least 48. Another 269 were killed as the tornado destroyed numerous flatboats on the river. The actual number of casualties, however, may have been much higher, because in pre-Civil War Mississippi, slave deaths would not necessarily have been recorded.